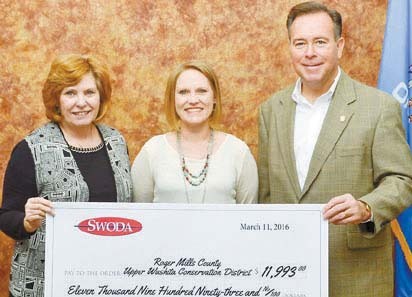 The South Western Oklahoma Development Authority (SWODA) and Oklahoma legislators presented over $1 million to 41 different communities on Friday, Feb. 19. Senator Mike Schulz, Representative Harold Wright, Representative David Perryman and Representative Todd Russ presented Rural Economic Action Plan (REAP) grants and Community Enhancement of Nutrition Assistance (CENA) grants. Lady Bears Pull Off Big Win!